Since opening in 1961, Preservation Hall has served as a shrine to traditional New Orleans jazz and a sanctuary for the genre’s elder statesmen. Founded by a group of enthusiasts including Alan and Sandra Jaffe, the spartan, unamplified performance room has featured a jaw-dropping roster of legends through the decades, many of whom were born before the word “jazz” was invented: “Kid” Thomas Valentine, George Lewis, Jim Robinson, Sweet Emma Barrett, Willie and Percy Humphrey, Louis Nelson, Alcide “Slow Drag” Pavageau, “Kid Punch” Miller, and many more. The hall stands as a musical mecca for the thousands of pilgrims from around the world who visit each year to hear what New Orleans jazz is really about. 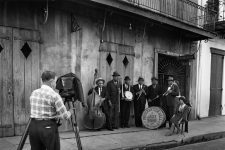 For those who can’t visit the Crescent City, a touring lineup of the Preservation Hall Jazz Band spreads the gospel of traditional jazz across the globe. 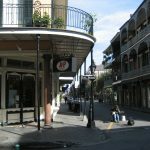 Now run by the Jaffes’ son, Benjamin, Preservation Hall in recent years has forged creative partnerships with the likes of the Del McCoury Band, My Morning Jacket, the Trey McIntyre Project, and Tom Waits. 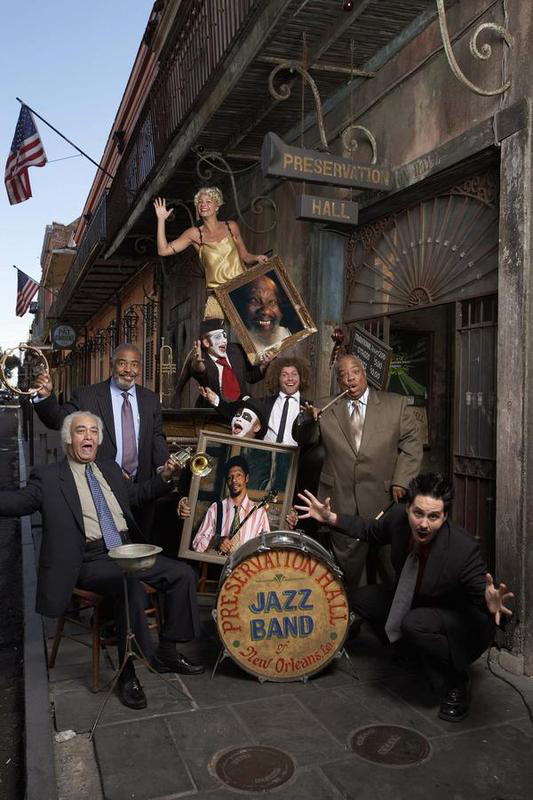 Preservation Hall remains a devoted torchbearer of the New Orleans jazz tradition while looking ahead to the future. 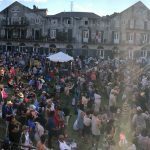 Preservation Hall Jazz Band - "Tailgate Ramble" at Preservation Hall. 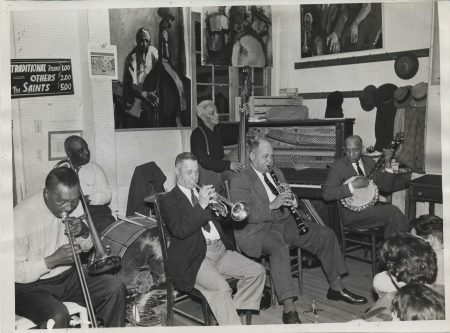 Performance at Preservation Hall, from left to right: Jim Robinson on trombone, Alfred Williams on drums, Ernie Cagnolatti on trumpet, Alcide "Slowdrag" Pavageau on bass, Louis Cottrell on clarinet, and Emanuel Sayles on banjo. 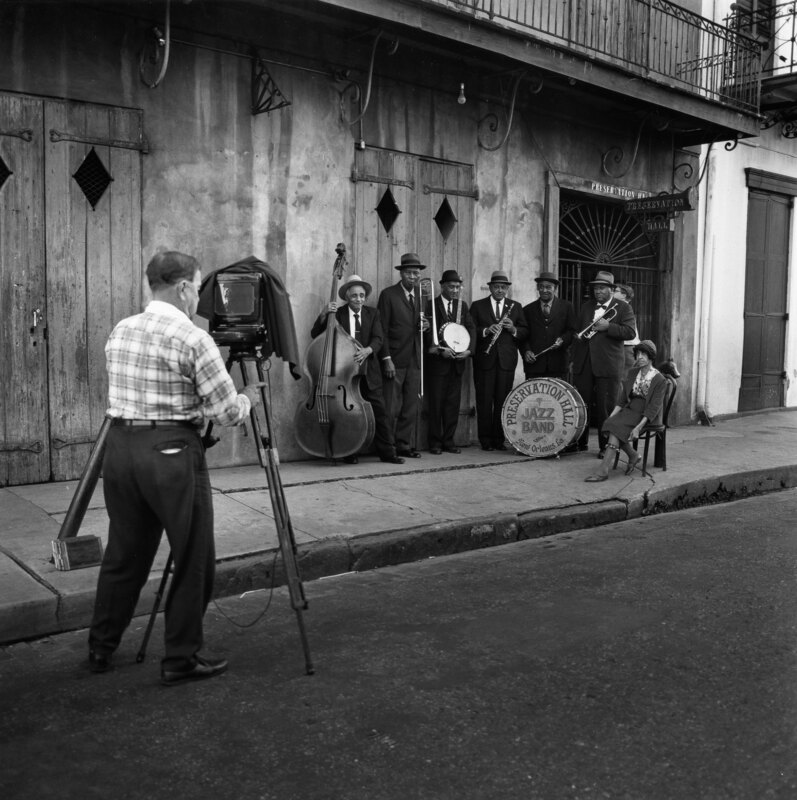 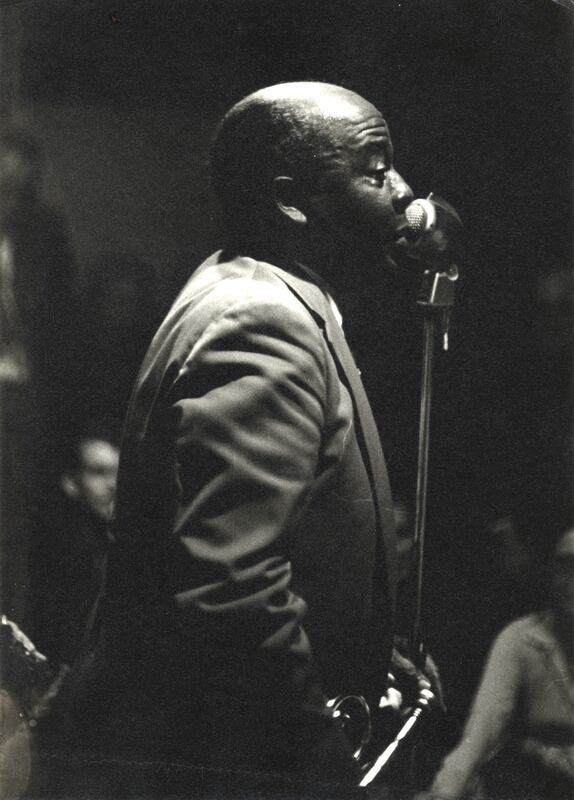 Dan Leyrer photographing Preservation Hall in 1964. 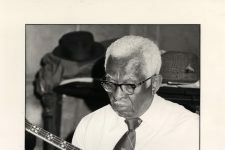 The Historic New Orleans Collection, 1979.326.94. Photo by Stuart Lynn. 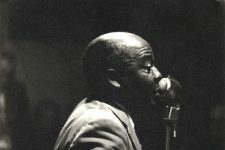 Avery "Kid" Howard performing at Preservation Hall. 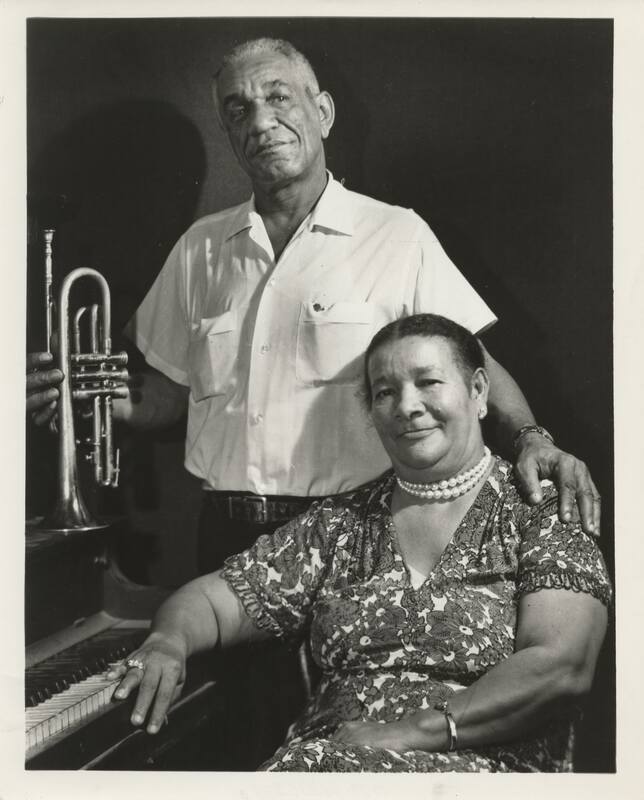 De De Pierce (trumpet) with Billie Pierce (piano), New Orleans Jazz Club Concert, Royal Orleans, Preservation Hall Series. 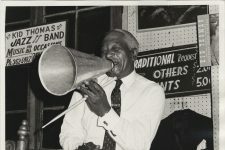 Sammy Penn on stage at Preservation Hall. Preservation Hall postcard circa 1975. 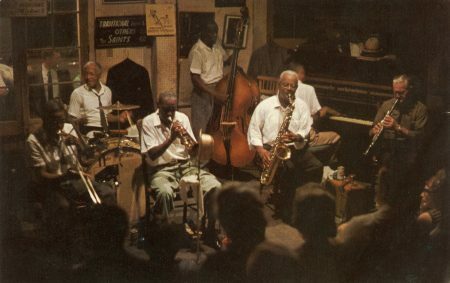 The Historic New Orleans Collection, 1981.350.248. 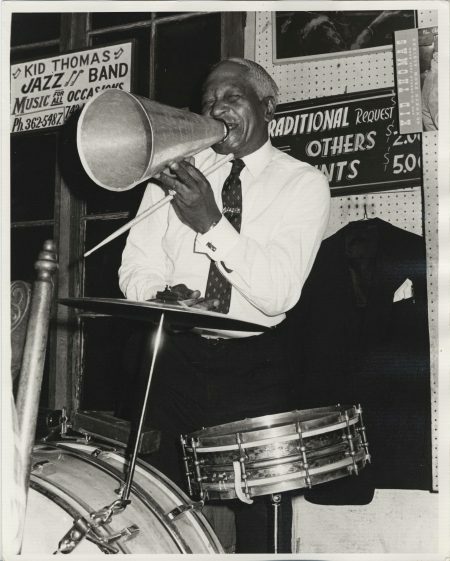 Photo by Grant L. Robertson. 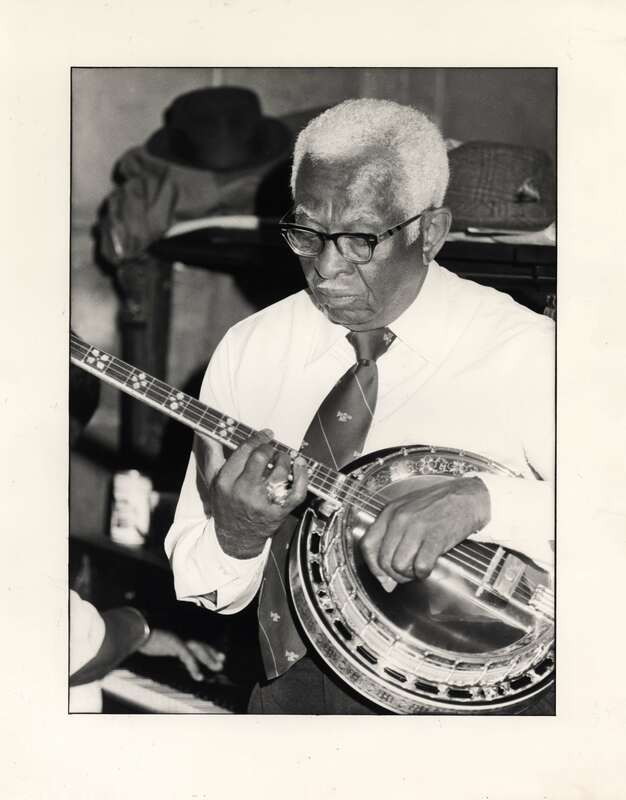 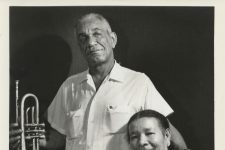 Narvin Kimball playing the banjo. He was a founding member of the Preservation Hall Jazz Band. 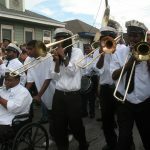 Members of the Preservation Hall Jazz Band with the New Orleans Bingo! 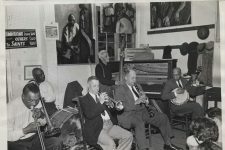 Show in front of Preservation Hall.